Access Codes: Your login and password given to you by us in order to have access on our Online Trading System or Website cabinet (Traders Hub) (as applicable). Access Data: Your Access Codes, your Phone Password, your Account number and any information required to place Orders with us. 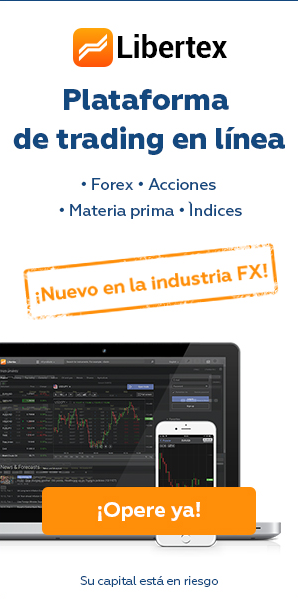 Account: Any personalized trading account which we may open for you on our records to allow you trade in CFDs. Agreement: This CFDs Trading Client Agreement and any Appendices added thereto, the “Costs and Fees” and “Contract Specifications” as amended, from time to time. Balance: The total sum on your Account after the last Completed Transaction and depositing/withdrawal operation made within any period of time. Base currency: The first currency in the Currency Pair against which the Client buys or sells the Quote Currency. Business Day: Any day, other than a Saturday or a Sunday, or the 1st of January or any other Cyprus or international holidays to be announced on the Company’s Website. A Financial Instrument which is a Contract for Difference by reference to variations in the price of an Underlying Asset such as, Currencies (FOREX), Commodities, Futures, Options, Forwards Stocks Bonds etc. All offered CFDs by the Company may be found on the Company’s Website. Closed Position: The opposite of an Open Position. Commission Fee: A fixed fee charged upon the opening of a Position, charged by the Company. Completed Transaction: Two counter deals of the same size (opening a position and closing a position): buy then sell and vice versa. Contract Specifications: Each Lot size or each type of Underlying Asset in a CFD as well as all necessary trading information concerning Spreads, Swaps, Margin requirements etc., as determined by us from time to time on our Website. Currency of the Account: The currency that you choose when opening an Account with us or converted into at your choice after the opening the Account. Currency Pair: A type of Underlying Asset. Consists of two currencies (the Quote Currency and the Base Currency) and shows how much of the Quote currency is needed to purchase one unit of the Base Currency. Equity: The Balance plus or minus any Floating Profit or Loss that derives from an Open Position and shall be calculated as: Equity = Balance + Floating Profit – Floating Loss. Essential Details: The required details in order for the Client to be able to place the Order for example but not limited to the type of Underlying Asset, Direction (Buy/or Sell), Opening price, Closing price, style of the Order, the volume, if the Client places a Pending Order (limit or stop) the Client will indicate the intended price in which the Order will go in the market and any Stop Loss and or Take Profit etc. 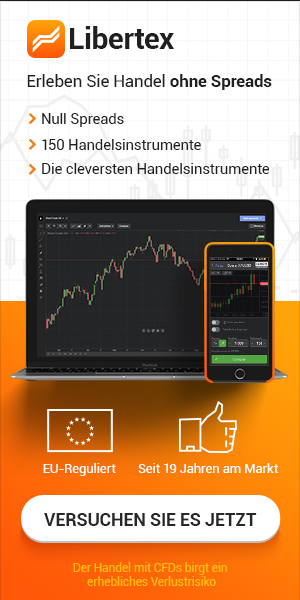 Expert Advisor: A mechanical online trading system designed to automate trading activities on an electronic trading Online Trading System. 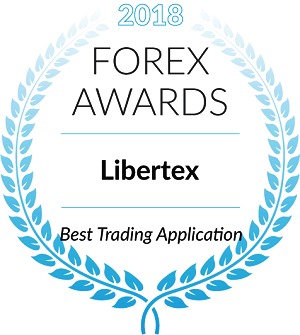 It can be programmed to alert you of a trading opportunity and can also trade your Account automatically managing all aspects of trading operations from sending Orders directly to our Online Trading System to automatically adjusting stop loss, trailing stops and take profit levels. The Financial Instruments under the Company’s CIF license which can be found in the document “Company Information” on our Main Website. It is understood that the Company does not necessarily offer all the Financial Instruments which appear on its CIF license but only those marketed on its Website, from time to time. This Agreement covers the Financial Instruments of CFDs. Free Margin: The amount of funds available in the Account, which may be used to open a position or maintain an Open Position. Free Margin shall be calculated as: Equity less (minus) Necessary Margin [Free margin = EquityNecessary Margin]. Hedged Margin: The necessary margin required by the Company so as to open and maintain Matched Positions. Inducement: Money, goods or services, other than the standard commission or fee that the Company may receive from a third party in relation to the Transaction that is or may be in a conflict with the Client’s interest. Initial Margin: The necessary margin so as to open a position. Investment Services: The Investment Services under the Company’s CIF license, which can be found in the document “Company Information”. Leverage: A ratio in respect of Transaction Size and Initial Margin. EXAMPLE: 1:100 ratio means that in order to open a position, the Initial Margin is one hundred times less than the Transactions Size. More information regarding the Leverage per type of CFDs is available in the ‘Contract Specifications’ and ‘Online Trading System Trading & Conditions’ sections of the Main Website. Long Position: A buy position that appreciates in value if underlying market prices increase. For example, in respect of Currency Pairs: buying the Base Currency against the Quote Currency. Lot: A unit measuring the contract size specified for each Underlying Asset found in the ‘Contract Specifications’ section of the Main Website. Margin Call: A notification to you to take action where you do not hold enough Margin in your Account to open or maintain open positions. Market Order: Order executed immediately at best available market price. Matched Positions: Long and Short Positions of the same Transaction Size opened on the Account for the same CFD. 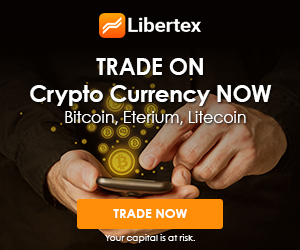 Multiplier: the ratio between trade amount percentage change in Libertex terminal and Underlying Asset price, Base Currency price percentage change. Necessary Margin: The necessary margin required by the Company so as to maintain Open Positions. Nominee: Any company as we may appoint as our nominee from time to time, whose principal function is to hold funds acquired by our Clients. Normal Market Size: The maximum number of units of the Underlying Asset that are transmitted by the Company for execution. Any Software used by us which includes the aggregate of our computer devices, software, databases, telecommunication hardware, a trading Online Trading System, making it possible for you to obtain information of markets in real time, make technical analysis on the markets, enter into Transactions, place/modify/delete Orders, receive notices from us and keep record of Transactions. Open Position: Any open option contract (call and / or put) which has not been closed. In relation to CFD trading this may be a Long Position or a Short Position which is not a Completed Transaction. Order: In relation to each Transaction, the Company will execute the Client Orders on its own account basis. Under this model of execution, the Company is a counterparty against the Client in each Transaction and executes the Client Order as a principal to principal against the Client, i.e. the Company is itself the Execution Venue. The Company executes Client Orders according to the Summary Best Interest and Order Execution Policy, available on our Website. Order Types: The following types of Orders are available with us: Market order, Pending order, Stop Loss and Take Profit. Any other Orders not mentioned in 6.10 are unavailable and are automatically rejected. Parties: The parties to this Agreement – you and us. Pending Order: Order to Buy or Sell CFD at a price different from the market price. Quote: The information of the current price for a specific Underlying Asset. Short Position: A sell position that appreciates in value if underlying market prices fall. Short Position is the opposite of a Long Position. The difference between the expected price of a Transaction in a CFD, and the price the Transaction is actually executed at. Slippage often occurs during periods of higher volatility (for example due to due to news events) making an Order at a specific price impossible to execute, when market orders are used, and also when large Orders are executed when there may not be enough interest at the desired price level to maintain the expected price of trade. Sniping: Executing trading strategies with the objective or as a result of exploiting misquotation(s). Misquotations may occur as a result of the highly automated nature of offering tradable prices on the Online Trading System. Stop Out: Situation when we execute the right to close all your Open Positions at current market price or the last available price when your margin level falls below the stop out level specified for your Account type or for a particular CFD. Swap or Rollover: The interest added or deducted for holding a position open overnight. The swaps are published and being updated periodically on the Main Website. Swap Rates: The rate of the fixed portion of a swap, at which the Swap will occur for one of the Parties entering into a CFD. Trade Confirmation: A message from us to you confirming execution of your Order. Transaction: A transaction of the Client in a CFD. Transaction Size: Lot Size multiplied by number of Lots. A stop-loss order set at a percentage level below the market price – for a long position. The trailing stop price is adjusted as the price fluctuates. A sell trailing stop order sets the stop price at a fixed amount below the market price with an attached “trailing” amount. As the market price rises, the stop price rises by the trail amount, but if the pair price falls, the stop loss price doesn’t change, and a market order is submitted when the stop price is hit. Underlying Asset: The object or underlying asset in a CFD which may be Currencies (Spot FOREX), Stocks, Metals, Commodities, Futures, Options, Forwards, offered by the Company from time to time. 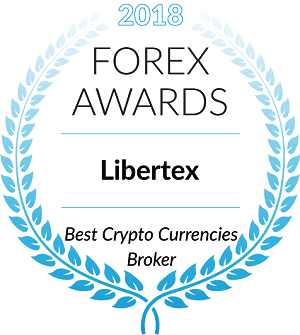 We (our, us): Indication Investments Ltd or any of our trading names as Libertex Website: www.libertex.com or such other website as we may from time to time notify to you. Any of the following actions such as, but not limited to Sniping; placing “buy stop” or “sell stop” Orders prior to the release of financial data and news related to the Underlying Market/Asset; arbitrage; manipulations; a combination of faster/slower feeds; abuse of the cancelation of trades feature available on the Online Trading System; use (without the prior and written consent of the Company) of any robots, spiders or other automated data entry system with the Online Trading System (unless you receive express written consent by the Company prior to activating the robot) or use of any software, which applies artificial intelligence analysis to the Online Trading System and/or Account; entering into transactions or combinations of transactions (voluntarily and/or involuntarily) such as holding long and short positions in the same or similar Underlying Assets at similar times either by the Client or by the Client acting in concert with others, possibly with connected accounts, including (but not limited to) between accounts held with different entities within the Company, which taken together or separately are for the purpose of manipulating the Online Trading System for gain.